Star Trek Synthehol Glasses Coasters & Flask - Moar Stuff - You don't need it but you know you want it. Replicators on Starships are great. they can make just about anything, including drinks. However, what are you supposed to do if you need to go on a diplomatic away mission where gifts are customary? 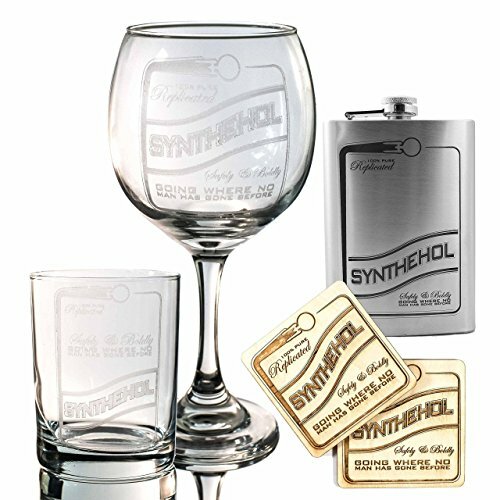 Well, this set of 4 mix and match Synthehol Glasses Coasters & Flasks is perfect for such a mission. They’re also perfect for recreational away team missions in your holodeck backyard. For the price, you can mix and match your choice of four of the following: a 16 oz. 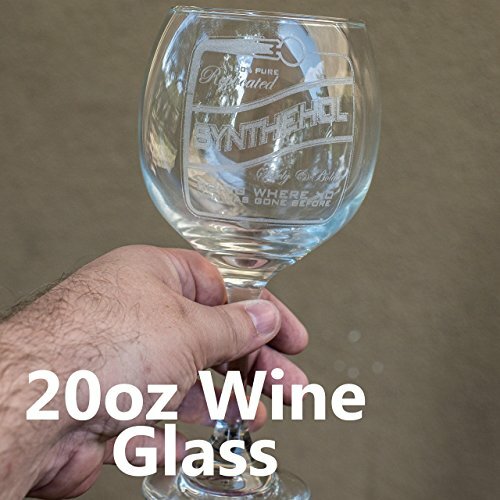 beer glass, 12 oz wine glass, 21 oz stemless wine glass, 12 oz rocks glass, wooden coasters (set of 2), and a 8 oz. 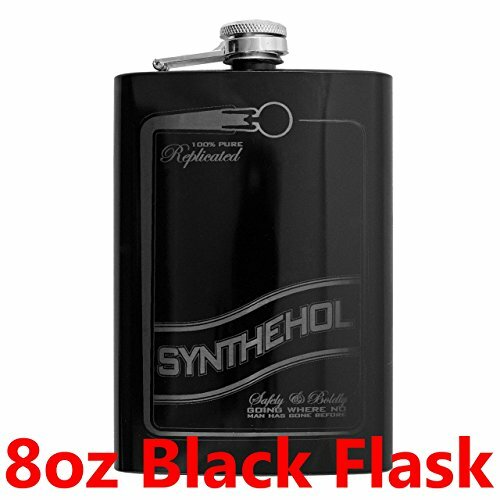 steel flask in stainless or black. That way, you can come up with the perfect gift set to complete your diplomatic mission. Oh, if you need more than 4 selections, you can add them for just $6.00 each. 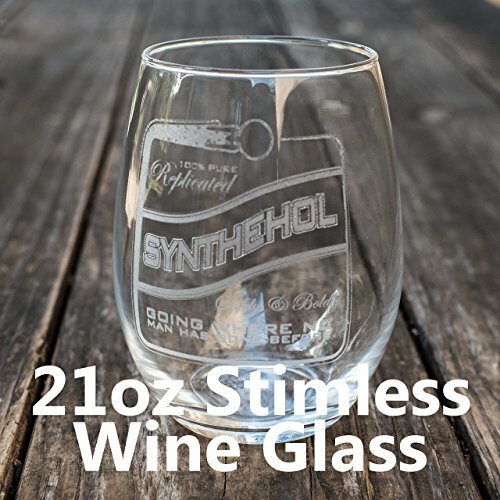 This is a deal good enough to make a Ferengi blush since these items normally go for between $20 and $30 each when purchased separately. Scotty, beam me up, we have to go get some of these….. at warp speed. 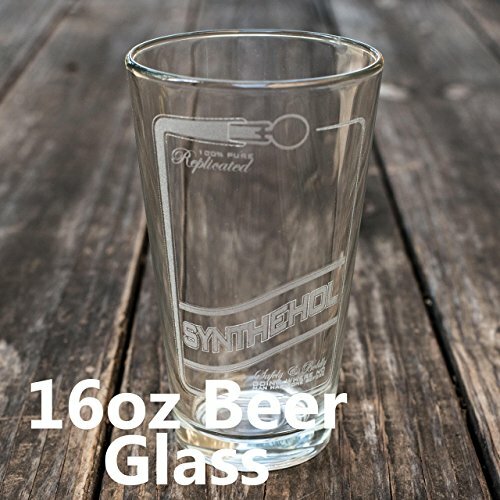 Glassware is all dishwasher and transporter safe. 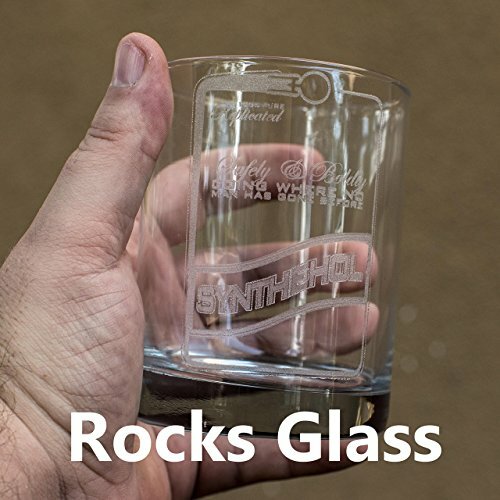 Quality laser etched bar glass. 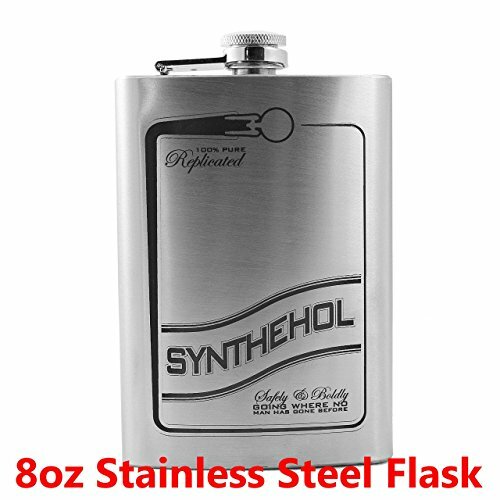 Flask is stainless steel and disruptor resistant. 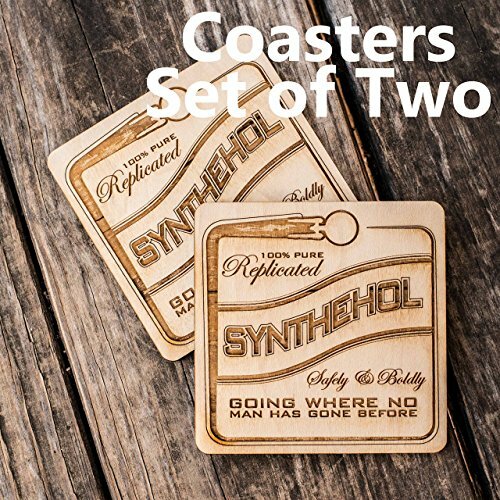 Coasters are made from the finest replicated earth wood (Maple).